Air Fryer Sweet Polenta Breakfast Bites crisp up so nicely in the Air Fryer and make a great addition to any breakfast. What? Polenta for breakfast? Yesiree! 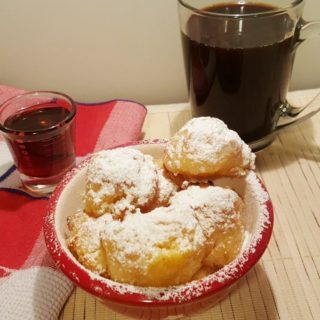 Deep Fried Crispy little bites, covered in Powdered Sugar and drenched in Real Maple Syrup. No, not really, these are Air Fryer Breakfast Sweet Polenta Bites that are not deep fried, but have a nice deep fried taste! At a fraction of the calories, you cannot go wrong. You will first need a batch of my Basic Creamy Polenta Recipe. After you make up a batch, put it in the refrigerator to cool. You can even do this the night before and then cook up your Air Fryer Breakfast Sweet Polenta Bites in the morning for breakfast. 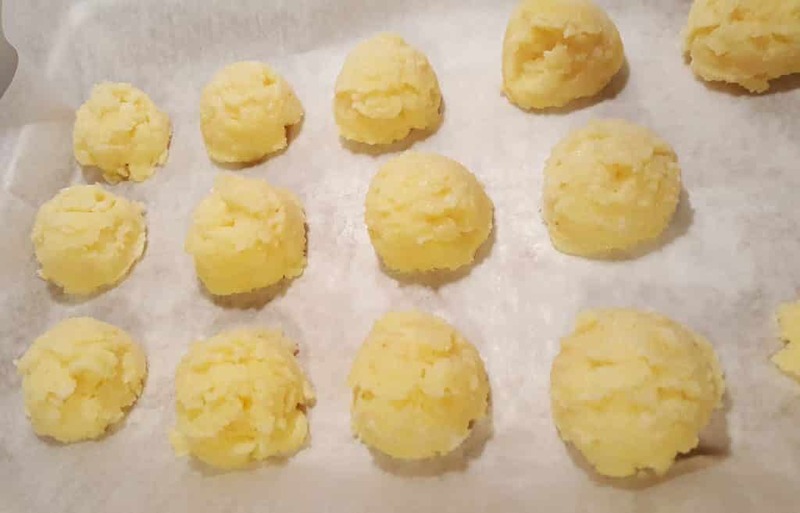 You will get at least 26 balls from this recipe, I think. 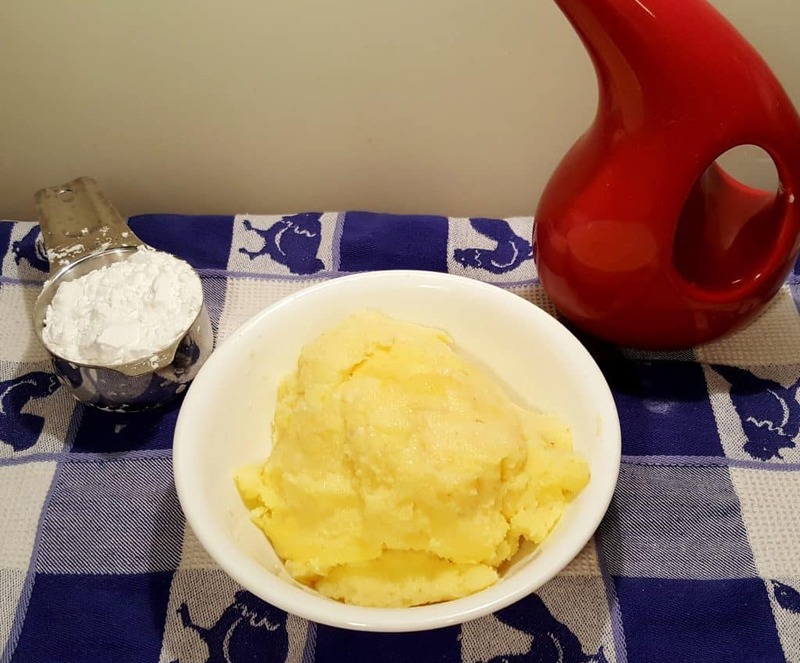 The Basic Creamy Polenta Recipe was so good, I kept having to take a little taste. 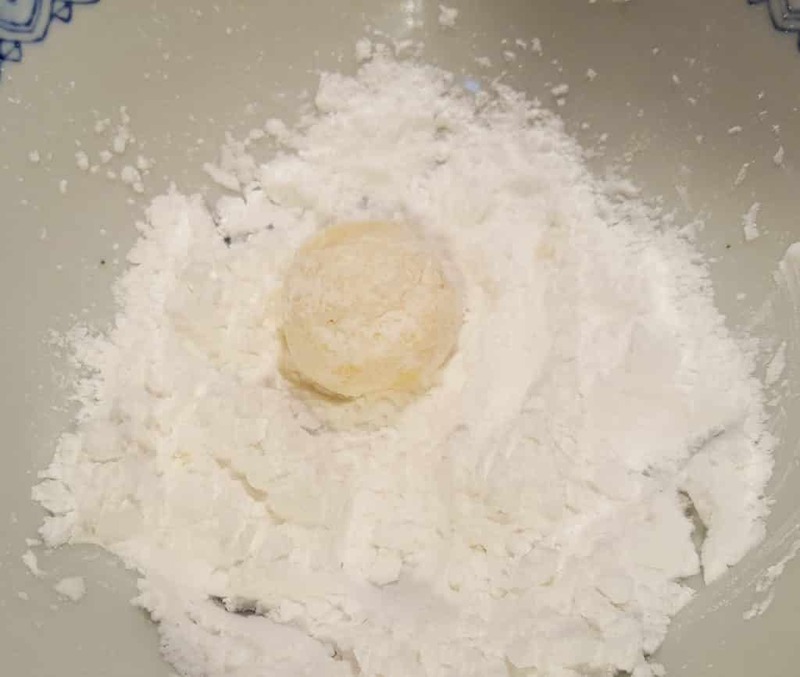 Pour the Potato Starch into a bowl and toss in a few of the Polenta Balls. Lightly coat them and shake off any excess Potato Starch. Yes, you can use Cornstarch if you like. You can see that there is just a light dusting of the Potato Starch. The Potato Starch will lock in the moisture and allow the Air Fryer Sweet Polenta Breakfast Bites to crisp up in the Air Fryer. 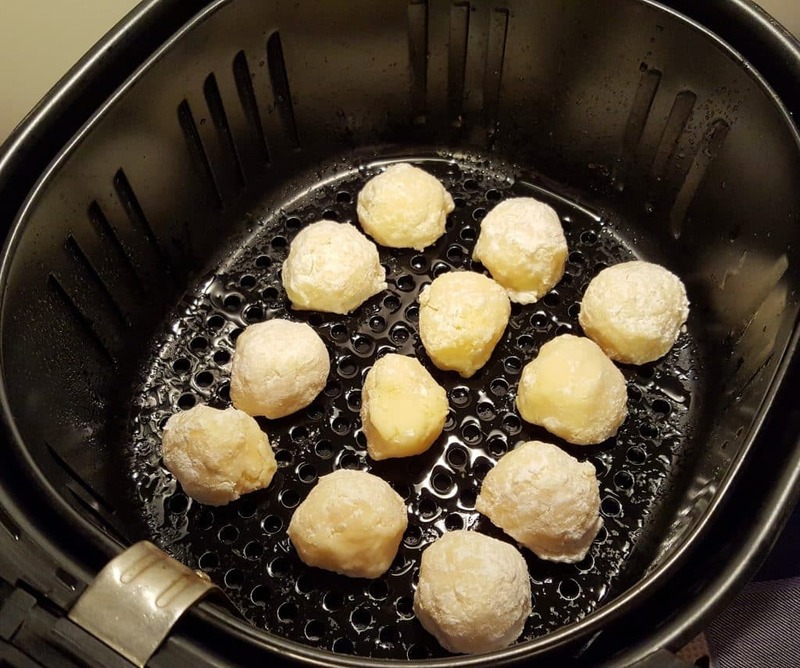 Using Ghee, Olive Oil, Coconut Oil, or your favorite oil, take an Oil Mister and grease the Air Fryer Basket. I like to use Coconut Oil for this recipe, as it pair well with the sweetness of the Powdered Sugar and Real Maple Syrup. 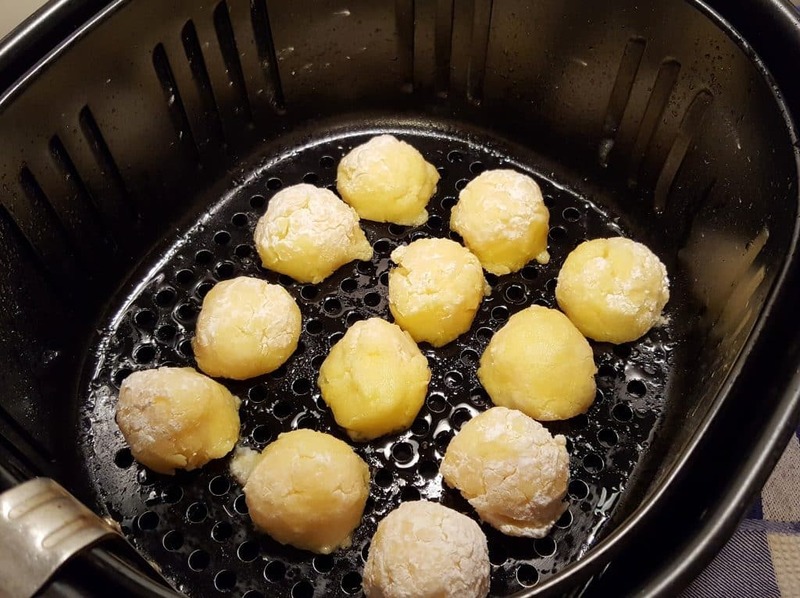 Place the Polenta Balls into the Air Fryer. 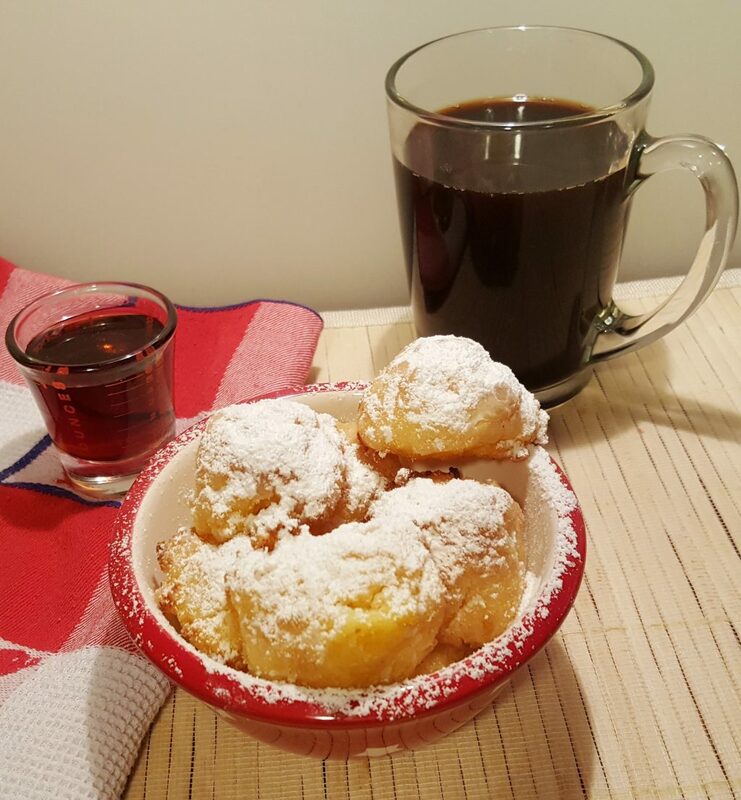 Sift on some Powdered Sugar and serve with warm Real Maple Syrup and a cup of coffee. Enjoy! Refrigerator the Basic Creamy Polenta Recipe until well chilled. 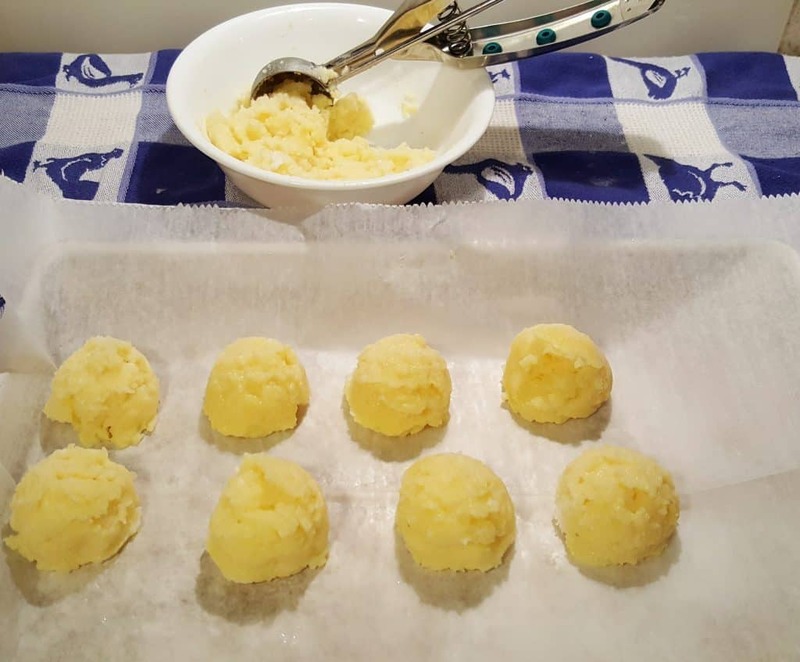 Use a 1.5 Tablespoon Cookie Dough Scoop and form into Balls. Place on a lined cookie sheet. 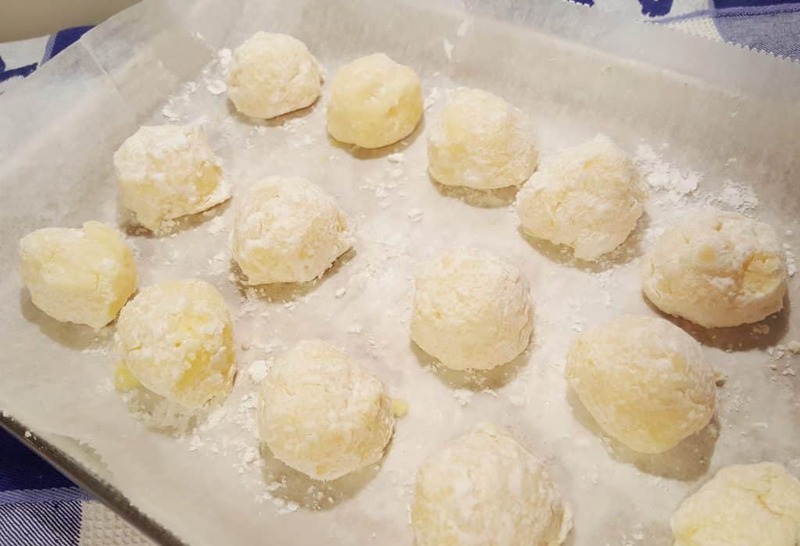 Dredge Polenta Balls into Potato Starch and place on lined cookie sheet. Spray Air Fryer Basket with oil. Place Polenta Balls into Basket and spray the tops with oil. Cook at 380 degrees for 8 minutes. Use a thin spatula and flip the Polenta Balls and cook for 8 more minutes, or until crispy. Sift Powdered Sugar over Polenta Balls and serve with Real Maple Syrup. PIN this Air Fryer Sweet Polenta Breakfast Bites! Could I do this using the pressure cooker polenta recipe, minus the goat cheese, of course?